For many college instructors, summer is the time to catch up on cleaning out the closets or to get busy on a research project. But for others—myself included—summer means teaching intense and sometimes grueling courses. This summer will mark the fifteenth in a row I have taught summer session at my university, and I have learned a few tips to keep my classes rigorous, my students engaged, and myself sane. I share them with you below. Plan ahead. If at all possible, prepare your syllabus and daily lessons well in advance. Because most summer sessions are compressed (a 15-week class that ordinarily meets for an hour three times a week becomes a six-week class that meets for four hours a day, four days a week), I work backward from the last day of the session and create the entire syllabus. I decide what I want to accomplish by the end of the session and define the overall course objectives. Then I plug in assignment due dates and readings to support each task. Having a complete syllabus on day one helps students plan and see what lies ahead. For the instructor, planning provides a roadmap and structure that takes away some of the anxiety to accomplish so much in so little time. Talk honestly with your students about the workload. In a workshop about effective teaching methods during summer session I attended on my campus, I took away some valuable information. I learned that research showed students preferred knowing about the difficulties facing them in summer school to sugar coating the course demands. My own experience matches this research. Students who are serious about learning appreciate knowing my expectations. Students who come to summer session under the misguided notion that it will somehow be easier than regular session are quickly disabused of that notion! “Sell” the course material for greater student buy-in. We teach business communication; what a great topic to use as ammunition to encourage students to stay focused! I repeatedly play up the practical side of what I teach, and students seem to respond. Remind them that they’ll soon want to stand out among many job applicants, and that a great way to do so is to be an effective communicator. All the skills we teach are applicable to the real world in ways students can readily comprehend. Remind them—frequently. Don’t try to teach the same way. Summer is different. You will very likely have a varied student population; new transfers, first-time college students, or seniors who need that very last class to graduate can all be in the same section. You may have less face time with students than in the regular year, and you will definitely have less overall time. Adjust your expectations and think about just how much students can realistically accomplish. 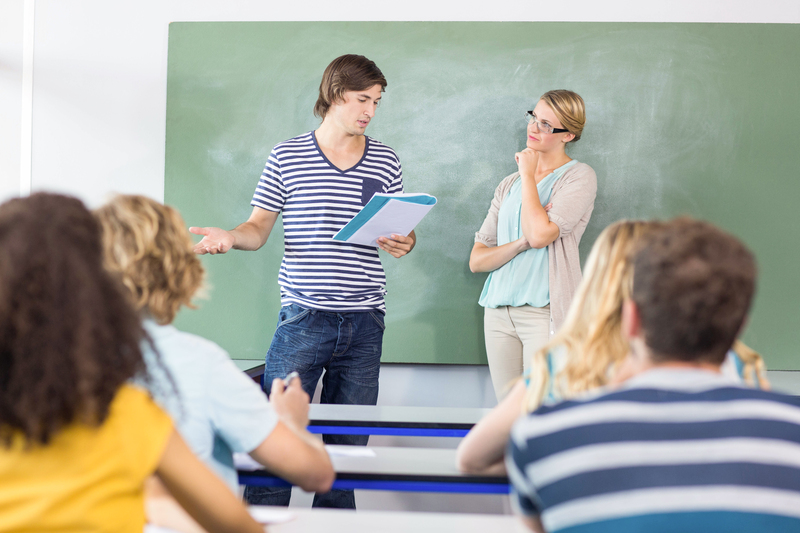 Another consideration that affects your teaching is your summer students’ situations. I find students busily shuffling between jobs, internships, and two or even three summer session classes. I have had to change my expectations to accommodate the reality of what my students are doing besides my class and how stressful a time summer can be for them. Stay on top of grading. For your own sanity and to keep students informed, return graded work as soon as you can. The last thing you want is a gigantic stack of papers to grade at the end of the session. Think about ending the session with an oral presentation to minimize your grading of written work. Below are some links to college teaching blogs and articles on pedagogy you may find helpful. Although only one is specific to summer session, all are excellent resources to help you make summer school a meaningful experience for students and a minimally stressful one for yourself. This entry was posted in 2. Featured Articles and tagged pedagogy, teaching summer school on April 22, 2015 by bizcombuzz.